The condition of the economy is not very favorable, at least not since the financial crisis which befell the United States in 2008. The rate of unemployment and public debt accumulation is still on the rise with little or no financial relief in sight. Although the projected financial future is not entirely bleak, there are some grave concerns as far as personal financial strategies are concerned. Plan a budget – Draw up a list of essential things you need to buy in a week or a day, and calculate how much money you would require to meet such expenses. Cut out all unnecessary items of expenditure like bottled water and Starbucks coffee. A recent survey has established that an average adult spends almost $100 every month just on designer coffee. Save more – Set a target figure for yourself and save as much money as you can to reach that set amount in as little time as possible. Try to not cut corners and skip spending on essentials like food and gas to save more money in less time. Try and maintain a separate savings account. Keep transferring small amounts of money from your checking account into the new account whenever you have funds in excess of your daily or weekly budget. Use a piggy bank and put in all the change you have in your pocket at the end of the day. It will eventually end up as a sizable amount of cash. Control and curb spending – Cigarettes, junk food, canned food, takeaways and magazine subscriptions are just a few examples of items which you can spend less on. Purchasing a pack of cigarettes a day amounts to spending almost $10,000 yearly. Cutting back your nicotine consumption in half is not only good for your health but it will also enable you to save nearly $5,000 a year. The most expensive items are not necessarily the best. There are cheaper alternatives for clothing and drugs which are just as reliable as their expensive counterparts. Supplement your earnings – There are multiple sources of extra income which you can choose to exploit in order to accumulate funds faster. If you are qualified enough or you possess a specialized skill set, consider freelancing or part time tutoring. In case you live in a spacious house, you can also consider renting out extra rooms. File your taxes carefully and try to earn the maximum tax refund. You can even hold a yard sale to sell off the stuff you don’t need or use. It will help you clear up some space in your house and make some money in the process. Condition yourself to save – Psychology plays a significant role in your potential to save money. 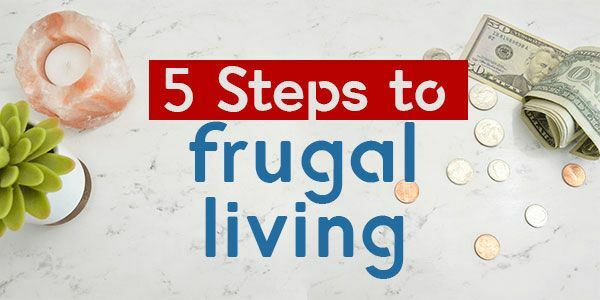 If you can condition yourself to live frugally, you will be able to derive the maximum value out of the least amount of resources. You can even find alternative uses for a single item which will enable you to save further. Always remember that the less you need, the more you save.